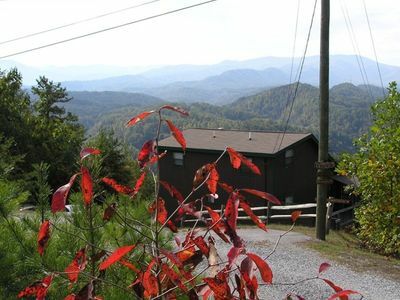 Mountain View On The Parkway in Downtown Pigeon Forge! New Listing Must See! 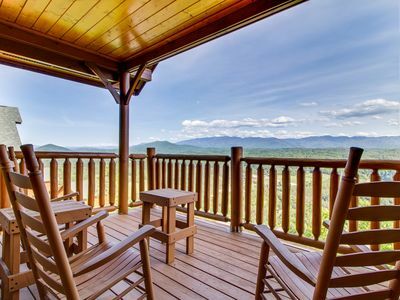 Enjoy the mountain views from your private balcony. 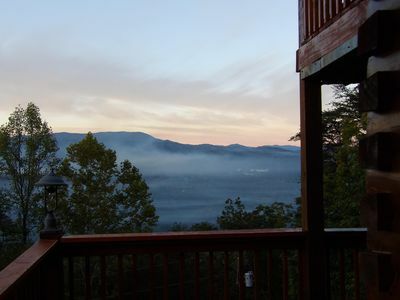 Located just off the Parkway in the beautiful Mountain View Condo complex. 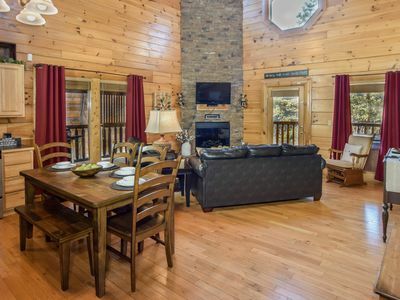 We are 4 miles from Dollywood, 1 mile Tanger Outlet Mall, within walking distance to theaters and restaurants. The trolley has a stop at the end of the drive near the Dunkin doughnut store. 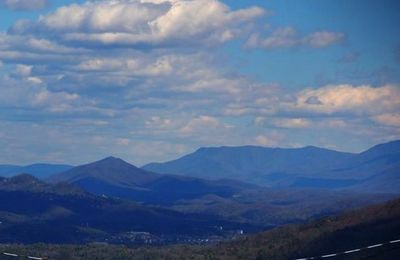 Nearby attractions include Country Tonight Theater, Memories Theater, Titanic Museum, Hard Rock Cafe, Wonderworks, Hatfield & McCoy Dinner Show, Dixie Stampede, Hollywood Wax Museum, The Apple Barn & Cider Mill, The Incredible Christmas Place, The Great Smoky Mountain Wheel and The Island. 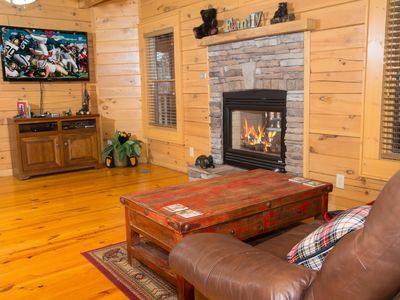 We are a short drive to Gatlinburg, Bass Pro Shop, Cades Cove, Smoky Mountain Knife Works, go cart tracks, putt putt courses, alpine mountain coasters, and much more. The restaurants are endless, the only problem will be deciding where to eat! 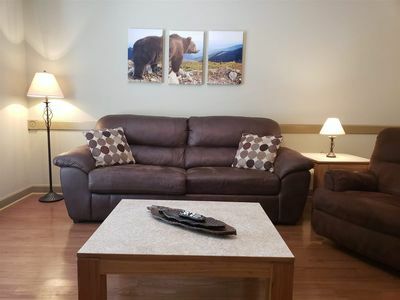 This unit offers a King size bedroom, Queen sleeper sofa, and bunk beds that are tucked away behind doors, it will provide plenty of space for you to enjoy a long weekend or an extended stay. A fully equipped kitchen with granite counters, beautiful maple cabinets, electric stove, dishwasher, refrigerator, full size washer, and dryer gives you all the amenities of home. Enjoy an oversize master bath that has a double granite vanity, walk in shower, and a jetted tub. Off the living area we have a 1/2 bath. 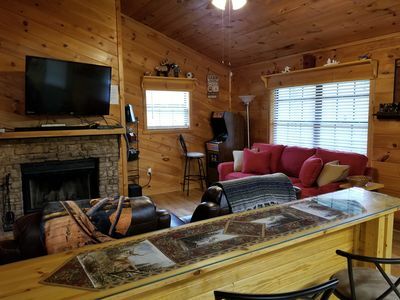 The dining and living area has wood floors, an electric fireplace with beautiful stone, and a 40 inch flat screen SMART TV, all the comforts of home. The bunk beds are cozy and the kids will love the tucked away privacy that they offer. 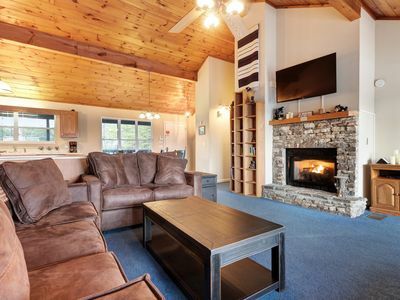 Wi_Fi is available throughout the unit and there is a 2nd TV in the bedroom for your convenience that has a dvd player. We will provide a starter supply of toilet tissue, paper towels, hand soap, bath soap, dish washing detergent, washing machine detergent, and trash bags. Linens and towels are provided. The condo building has a convenient elevator and guest carts. Security cameras and parking lot lights will give you peace of mind over your families safety. Handicap friendly features that include 36" doorways and ramps. 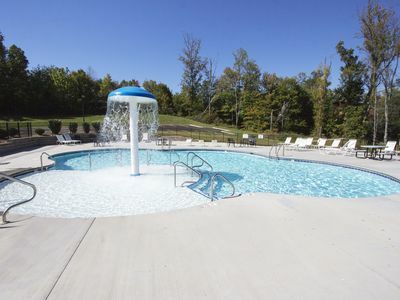 Be sure to check out the hot tub that is open year round as well as the large outdoor heated pool that is open April through October. 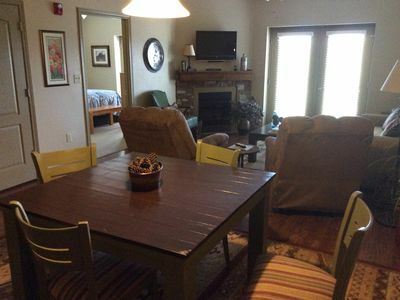 A clubhouse that has bathrooms as well as shower are open year round for your convience. There are wristbands located in the condo that are to be worn while in the pool area, please return them when you are finished. 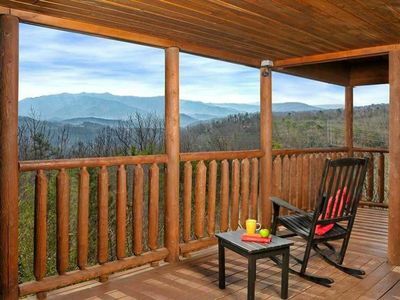 The kids will love the outdoor playground and large yard that has a beautiful view of the mountains. This complex has a NO PET policy that is strictly enforced. If you have service animals you must provide the proper ADA documentation prior to your arrival. Breathtaking views from decks! 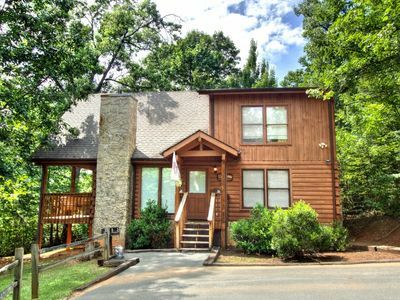 Private acre next door to Dollywood! Beautiful! 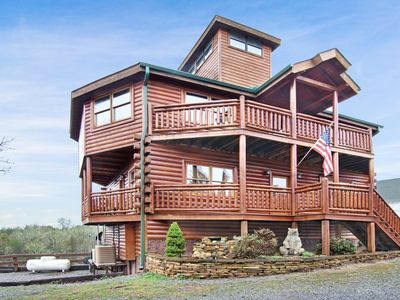 Perfect Log Cabin for Couples,and Families, Now with Theater!! Close to Everything, Away from it all! 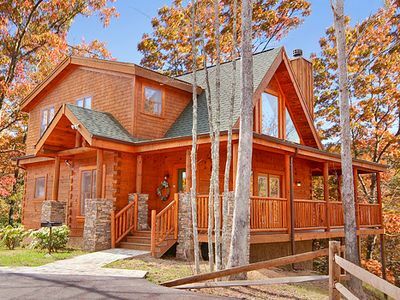 Large 3 bedroom cabin. Ask about summer specials! 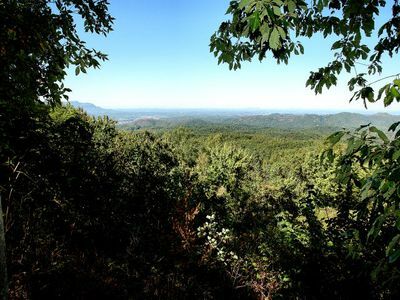 Private w/ Mtn Views! 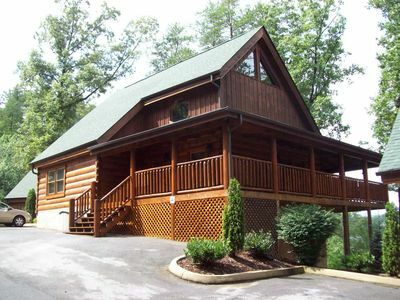 5 miles to Pigeon Forge, Woodburning and Gas Fireplaces FREE Resort Amenities! 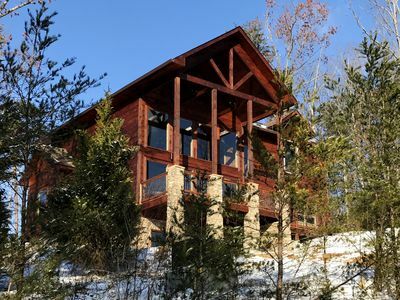 BRAND NEW LUXURIOUS 4 BR/4 BA MOUNTAIN RETREAT W/GORGEOUS VIEWS OF MT LeCONTE! 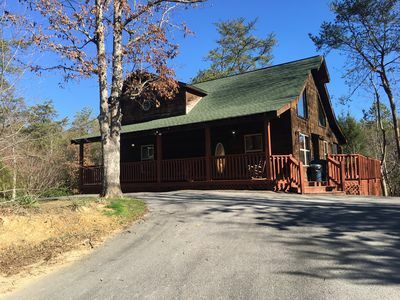 Gorgeous 4bed/2bath Cabin: Views + Location! 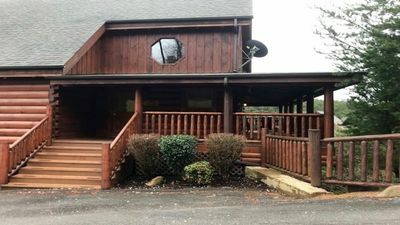 Multi-level home w/ private indoor pool/hot tub & theater/game rooms! 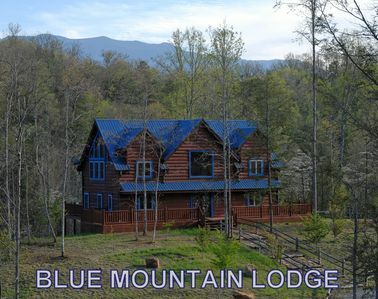 Comfortable mountain home w/ private hot tub, fireplace, views & jetted tubs!